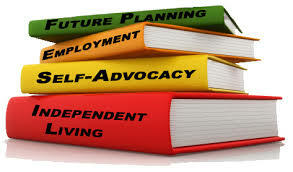 Consumers referred to this program are those in need of developing a variety of functional skills that will enable them to reside independently in their home and community. These services are provided one-on-one, in the natural home environment of the Consumer. 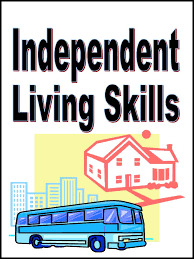 Independent Living Skills (ILS) services may include assessment, training, and supervision of an individual with self-care, medication management, task completion, communication skills, interpersonal skills, socialization, sensory/motor skills, mobility, community transportation skills, reduction/elimination of maladaptive behaviors, problem solving skills, money management, pre-vocational skills and skills to maintain a household. ILS must be provided in the environment and situation that will result in the greatest positive outcome for the client. It is expected that this service will be provided in the client's environment; for example, in the client's kitchen as opposed to a provider's kitchen. This expectation is based on the difficulty many clients' experience with transferring or generalizing knowledge and skills from one situation to another. ILS services may also be used to assist a client in returning to, or expanding the client's involvement in even more meaningful activities, such as paid or unpaid (volunteer) employment. Clothing Care and much more!